The Duke of Cambridge, or Prince William, as he’s more fondly known, has a little girl called Charlotte. Charlotte turned one a few months ago. Charlotte is a beautiful little girl. I smile when I see pictures of her. She is a bringer of joy. Charlotte is too young to understand the attention that surrounds her. Her parents will do all they can to protect her from any harm. As she grows up, she will undoubtedly become more aware of how the world views her. Most will adore her, but some will hate her. I feel sorry for Charlotte. They could be gone from the wild by the time Charlotte turns 25. This is sad. Very sad. It is abhorrent that a price tag is on these animals in the first place. They are priceless. But all is not lost. The Prince reassured us. Standing up for those who have no voice. Doing all they can to stop this massacre. Fighting greed and debunking the lies surrounding the health benefits of the elephant tusks. This is good. Very good. I have a little girl called Hazel. Hazel is about to turn 5. Hazel is a beautiful little girl. She makes people smile. She is also a bringer of joy. Hazel is too young to understand the attention that surrounds people like her – people with Down’s syndrome. As her parents, we will do all we can to protect her from harm. But, as she grows up, she will undoubtedly become more aware of how the world views her. Many will adore her, but many more will hate her. My heart breaks for Hazel. The onset of the more advanced prenatal screening, or NIPT as it is known, means that more and more countries are racing towards “eradicating Down’s”. Though, of course, they will never actually achieve this as women will keep getting pregnant with babies that carry an extra chromosome. So they will terminate. Simple. By the time my daughter reaches the age of 25, Denmark could well be “Down’s syndrome” free. Actually, this may happen by the time she is 19, if, as predicted the last baby with Down’s syndrome is born there by 2030. And, as with the rhinos, there is also huge momentum building from governments, businesses (pharmaceutical companies), and parts of the medical profession. Only this momentum is not trying to stop the killing. It’s supporting it. Promoting it. Presenting it as a good thing even. Telling us this is choice. Poised to roll out the new non-invasive prenatal test far and wide without fully exploring the ethical implications. This is sad. Very sad. It is abhorrent to me that babies with Down’s syndrome are being given a price tag. A tag that quantifies how much of a saving can be made by the NHS if they are aborted. And, as many suspect, a tag that quantifies how much money can be made by the pharmaceuticals who promote these tests. People with Down’s syndrome are priceless. As are you and I. There is another momentum building however. And it’s gathering speed. It may not have royal approval or backing, unlike the rhinos and elephants, but it is gaining attention. Hour by hour. Day by day. I am honoured to be part of this ever growing group of people that are standing up for those who have no voice. Exposing lies, debunking myths and bringing joy and hope to parents faced with a diagnosis of Down’s syndrome. This is also good. Very good. Watch actor Sally Phillips investigate the issues surrounding the new prenatal screening test in a new documentary being aired on BBC2 , 5th October, 9pm. 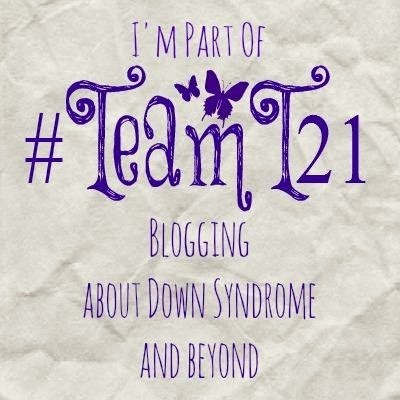 Categories: Abortion, Acceptance, Down Syndrome, Down's Syndrome, Joy, Prenatal Testing, Trisomy 21, Uncategorized | Tags: #africanelephants, #dontscreenusout, #downsyndrome, #fearfullyandwonderfullymade, #NIPT, #rhino, #Team 21, #Trisomy21 | Permalink. Such a wonderful analogy, thank you for linking up ahead of the documentary.